Writing is a skill. 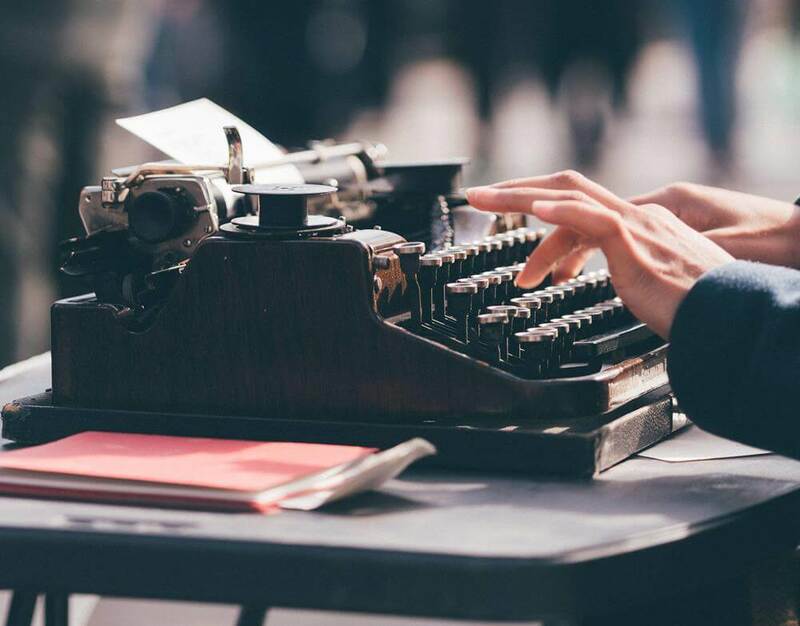 This means that, just like any other skill, you can improve it through active practice, despite the fact that many people mistakenly believe that their writing ability depends only on their natural talent. In the following article, you will see what you can do in order to improve your writing, as well as how you can optimize your learning process. Then, you will see a few additional guidelines, that will show you how to write better in general. Natural talent- some people are more gifted when it comes to their innate writing ability. Since this factor is something that’s outside your control, you shouldn’t waste too much time thinking about it. Fortunately, your natural talent mostly affects your starting level and how fast you improve at writing, rather than how good your writing can eventually get. Effort- the more work you put into learning how to write well, the better you will get. However, keep in mind that just working hard isn’t enough; if you don’t actively strive to improve as a writer, and if you don’t use a smart learning process, most of your effort will likely go to waste. Optimization- the smarter your learning process is, the faster you will be able to improve your writing. Essentially, optimizing the learning process ensures that you make the most out of the effort that you put into learning how to write better. What this all means is that even though your natural aptitude for writing might help or hinder you at first, it won’t guarantee that you’ll be good at writing if you don’t put in the necessary effort in order to improve, and it won’t mean that you can never become a good writer, even if you put in the necessary work. As such, in order to improve your writing, you need to spend time actively practicing your writing skills, in a way that helps you learn what you can do in order to make your writing better. In the following sections, you will see how you can spend your time wisely, and what are the specific things that you should do if you want to learn how to be a good writer. As with any other skill, the most important thing you can do to improve your writing is to practice the skill itself. Simply put, the more you write, the better you will get at it. You should go over your writing and find areas for improvement. You should send your writing to other people, and get feedback from them on what you can do to improve. Regardless of whether you’re identifying areas for improvement yourself or identifying them with the help of others, try to not just implement changes, but rather also understand why these changes are beneficial, and how you can implement them in your future writing. Read good writing. Reading good writing can help you learn how to write better, by helping you identify things that you can do in order to improve your writing. As such, when you read a piece that you think represents good writing, ask yourself what makes it good, and then try to implement those things in your own writing. Read bad writing. You can learn from reading bad writing almost as much as you can learn from reading good writing. While you probably won’t seek out bad writing actively, you will likely to encounter it from time to time. When you do, ask yourself what makes it bad, and what you can do in order to avoid making the same mistakes in your own writing. Read about writing. You can benefit from reading books and articles about the art of writing, with two common recommendations for books being The Elements of Style (or its summary) and On Writing. When you do this, try to actively select tips that you think are beneficial, and then implement them in your writing. Most importantly, you should make sure to read and write purposefully when possible, meaning that you should do both with the intent to learn how to improve your own writing. This is because, while you can improve from passive exposure and unguided practice, you will improve much faster if you try to actively learn how to write better, at least some of the time. When you start, you’re probably going to be bad at writing. This is a completely natural part of learning any new skill, and you shouldn’t let it discourage you or sap your motivation. Furthermore, as you improve, you might start noticing new areas for improvement in your writing, and experiencing new difficulties. This is also a natural part of the learning process, and you shouldn’t let it discourage you, since it means that you’re advancing far enough in your writing to be able to notice things that you couldn’t before. Accordingly, if you want to see just how much you’ve improved, try reading some of your older writing, once you’ve spent some time learning how to write better. You will likely notice tons of mistakes and things that you could have done better, which is a good indication that you’ve improved, and that you now know more than you used to. Overall, learning how to improve your writing is a long and difficult process. There are going to be many tough moments along the way, and you won’t get better overnight. However, if you’re willing to dedicate the necessary time and effort, and if you utilize the tips in this article in order to ensure that you’re spending your time wisely, you will eventually improve and become a better writer. So far, we saw what the overall learning process entails when it comes to learning how to become a better writer. Next, we will see a few specific tips on how to improve your writing, in order to ensure that your learning process is as effective as possible. A common mistake that people make when they try to improve their writing is to think that they shouldn’t write anything down if it’s not absolutely perfect from the start. This form of misguided perfectionism is detrimental to your development as a writer, since in most cases it means that you will barely write anything down, and that you won’t get the necessary practice that you need in order to improve. As such, instead of only writing down things that you think are perfect, you should embrace the fact that your writing is generally going to be imperfect at first, if not downright bad. Based on this, your initial goal should be to simply get something written down, especially if the alternative is to write nothing at all. Then, once you’ve actually written something down, you can come back to it later, in order to revise it as many times as necessary, so that you can get it up to the level that you want it to reach. In order to improve the texts that you write and improve your own writing ability, you will almost always have to go through several rounds of edits when you write a piece of text. Each time you edit it, you will likely notice new things that you can improve, which you didn’t notice were an issue during the writing stage, or during previous rounds of editing. Since it’s difficult to dedicate your full attention to all aspects of your writing at the same time, when you edit a text you can try to focus on different things during each round of editing. For example, you can start by focusing on checking the overall structure of the text at first, and finish by focusing on proofreading the language that you used last. In addition, remember to give it some time between the different rounds of editing whenever possible. This will allow you to approach your writing with relatively fresh eyes, and will help you notice new isues that you might not have noticed otherwise. Getting good feedback from others is crucial if you want to improve your writing, and you should try to get as much helpful feedback as you can handle. If the person giving you feedback is an experienced writer (but not a part of your target audience), then they will be best positioned to tell you what modifications you should make from a technical perspective. If the person giving you feedback is a part of your target audience (but not an experienced writer), then they will be best positioned to tell you what sort of changes they would like to see, without necessarily knowing how exactly you should implement those changes. For example, if you tend to include too many unnecessary details in your writing, an experienced writer will usually point out which parts you need to trim, while an inexperienced person will tell you that they feel overwhelmed by the amount of detail, without knowing what exactly you should do about it. Each type of feedback is valuable in its own right, and you can strongly benefit from both. When you receive feedback, make sure to accept it in a way that encourages people to give you feedback again in the future. That is, as long as the feedback has the potential of being helpful, listen to it, and thank the other person for taking the time to help you. It’s okay to ask specific questions about the feedback, but don’t become overly defensive. Later on, you can consider the feedback in depth, and decide whether to implement it or not. However, while you are receiving the feedback you should avoid arguing with the person about the feedback that they gave you, if doing so serves no purpose beyond protecting your ego. If you disagree with the feedback, try to wait and make sure that you’ve had some time to process it, in order to allow you to overcome the natural tendency to reject criticism due to emotional reasons. If you’re unsure about a certain piece of feedback, consider seeking another opinion. Getting more feedback is beneficial in general, since it helps you identify more areas for improvement in your writing, and since it allows you to get a more balanced view of your work. Note: there are various apps and software add-ons that can give you feedback on technical aspects of your writing, usually by highlighting common grammatical errors and suggesting ways to avoid them. Different writing apps will be relevant in different cases, so search online to find the one that fits your needs and preferences. As you practice your writing, you will learn many valuable lessons. One way to ensure that you remember those lessons is to write them down as you first encounter them. You can either keep a full list of everything that you’ve learned, or you can keep a short list with a few specific things that you’ve learned recently, and that you want to focus on for now, until you’ve had a chance to internalize them. For example, you can create a checklist with 5 errors that you want stop making, and then go over that list each time you finish writing a certain piece of text, until you get to a point where you rarely make those errors. Then, you can remove those items from your list, and add new ones that you want to focus on. You can even simplify this concept further, by having just one or two things that you keep in mind while writing. Essentially, the most important thing is to know what aspects of your writing you want to improve, to then actively work on those aspects while you’re writing. It doesn’t matter if you’re working on improving one thing at a time or on improving a dozen; what matters is whether or not you’re actually implementing the changes that you want to make, and whether you’re successfully internalizing the relevant lessons that will allow you to implement those changes in the long term. Publishing your work in some form is often beneficial for your progress, since it motivates you to practice and improve your writing, and since it helps you get honest feedback from others. “Publishing” can mean whatever you want it to, and it doesn’t necessarily have to be something major. That is, you don’t have to try and get a book published at a prestigious publishing house. Rather, your goal should be to simply get your writing out there, even if it means publishing some stories on an anonymous blog, or writing a short article for a school newspaper. So far, we saw how you can learn to improve your writing, and what you can do in order to optimize your learning process. Write for your readers. When you write, keep in mind that you’re writing for a certain audience. You should write in a way that appeals to the readers that comprise that audience, since they are the ones that are going to read your writing. Know what you want to say. Before you start writing, think about what you want to say. Have an outline, either written down somewhere, or even just in your head. This will help you know where you’re going with your writing, and what you need to do in order to get there. Remove anything that doesn’t serve a purpose. If a part of your writing isn’t necessary, remove it, or figure out how to integrate it into the text better. You should know what’s necessary or not by ensuring that you know what you want to say in the first place. Don’t overcomplicate things. Write things in the simplest way that is appropriate given the message that you want to convey and given your intended audience. Write naturally. Your writing should sound as natural as possible, and should not include contrived language or convoluted structures. For the most part, your goal is for the reader to focus on your message, rather than on the writing itself. Good writing will convey your message well, without making your readers struggle when they try to interpret it. All these guidelines are meant to ensure that your writing is as clear and as appealing to your readers as possible. Accordingly, some of them are connected to each other, such as remove anything that doesn’t serve a purpose, which has some overlap with don’t overcomplicate things. When implementing these guidelines, it’s important to remember that they are just guidelines. Some of them can be broken sometimes, but following them will usually lead you to better writing, especially if you’re a beginner. Writing is a skill like any other, meaning that you can improve your proficiency in it through active practice and guided learning. There are three factors that affect your writing ability: your natural aptitude for it, the amount of time you spend trying to improve it, and how optimized your learning process is. While you can’t control your natural talent, this is a factor that doesn’t necessarily affect how good you can get with enough practice, and so, in order to improve your writing, you should focus on how much effort you’re putting into the learning process, and on ensuring that your learning process is as optimized as possible. To improve your writing ability, you should spend your time writing, revising your writing, and getting helpful feedback from others. Furthermore, you can also try to read other writing and identify what makes it good or bad, and to read guides on the topic of writing itself. To make the most out of the learning process, you should: avoid worrying about getting it perfect at first, make sure to edit each text several times, solicit good feedback and implement it, write down the lessons that you learn, and strive to publish your work in some way. A few central guidelines that you should implement in your writing are: write with your readers in mind, know what you want to say, remove anything that doesn’t serve a purpose, avoid overcomplicating things, and write in a natural way. If you want to learn more about how to write better, two recommended books on that you should check out are The Elements of Style (or its summary) and On Writing.